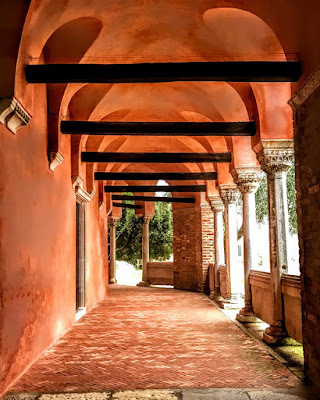 My island-hopping venture through the Lagoon of Venice last week, visiting the islands of San Michelle, Murano, Mazzorbo and Burano, finally brought me to Torcello, just five minutes from Burano and the most northerly island in the Lagoon. 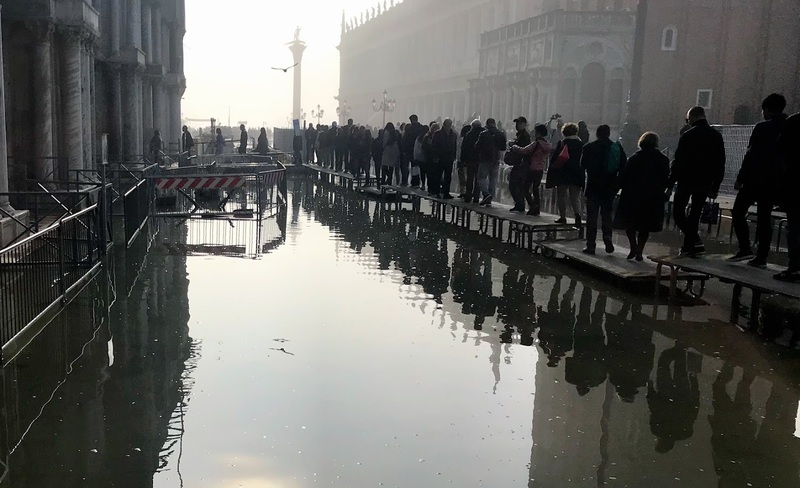 This is the island to which Venice traces its cultural and ecclesiastical roots, and the seventh century cathedral is the oldest building in the Lagoon. 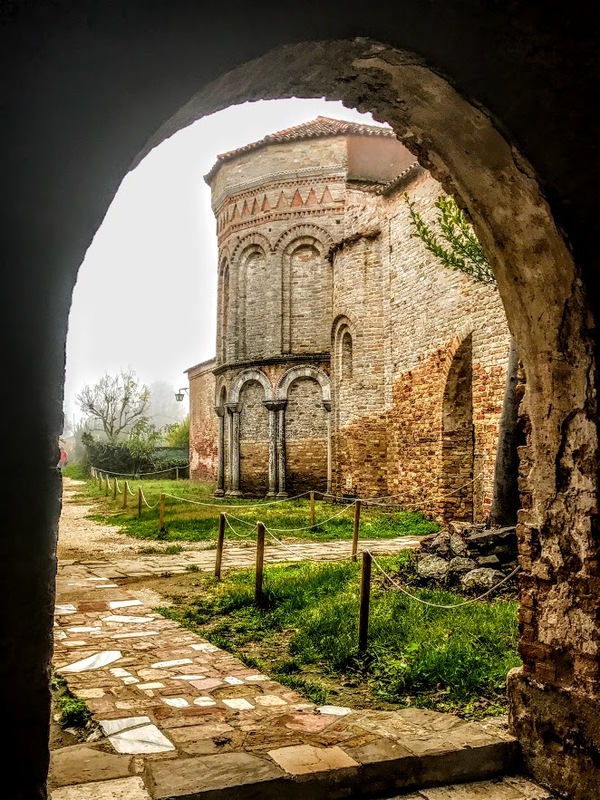 The first people settled on Torcello in the fifth or sixth century, and over time it grew into a thriving colony with a cathedral, churches, palaces, and a population that peaked at 20,000 people. Today just a few dozen people at most live on the clustered islands that make up Torcello, and they depend mainly on tourism for their livelihood. 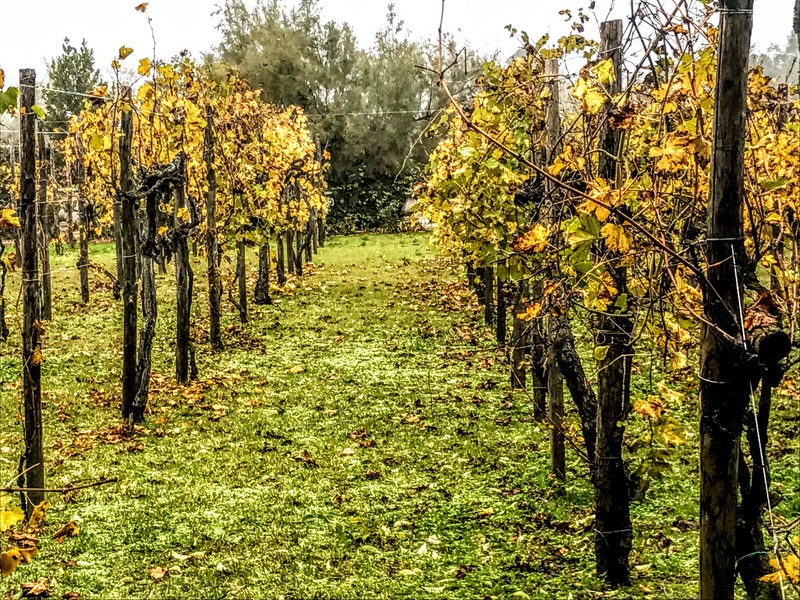 But this remains an attractive island, with its historical sites, restaurants, cafés, vineyards, and tiny bridges crossing from one islet to the next. 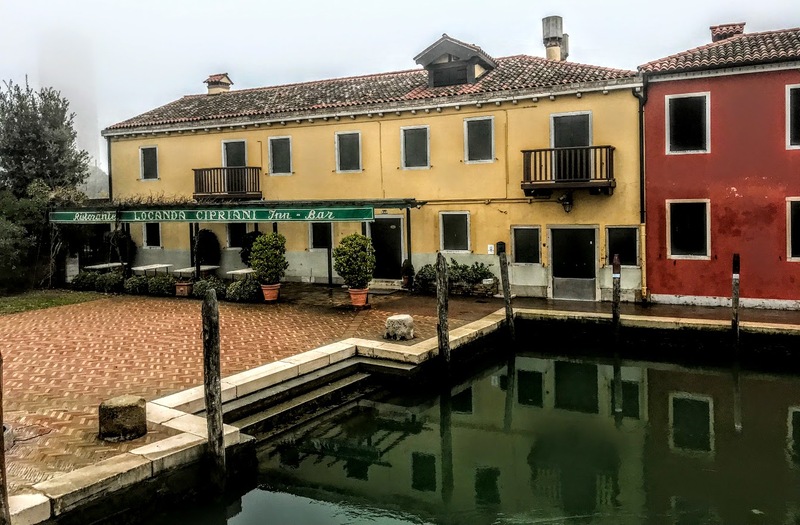 From the pier, a seven-minute walk leads along the banks of the main canal, beside attractive restaurants and footbridges, to the square and the surviving sites of Torcello. Along the way, the avenue passes the ‘Devil’s Bridge,’ and a little further on a second bridge leads into the town square, unpaved and covered in clay and gravel and lined with a small number of souvenir stalls and – even in November – an ice-cream stall. 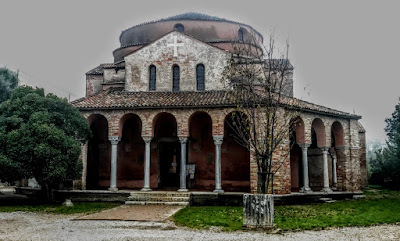 Torcello was the largest and most important settlement in the Venetian Lagoon. 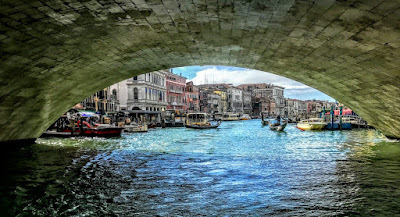 It was first settled in 452 and is known as the parent island from which Venice was populated. It was a town with a cathedral and bishops long before Saint Mark’s Basilica was built. After the downfall of the Western Roman Empire, Torcello was one of the first islands in the lagoon to be populated by people who fled the mainland to seek shelter from wave after wave of barbarian invasions, especially after Attila the Hun destroyed the city of Altino and the surrounding settlements in 452. 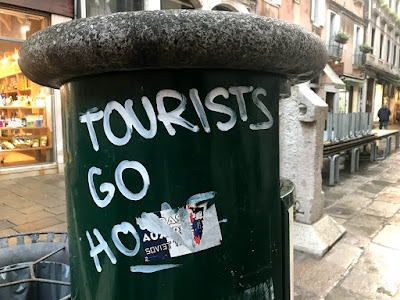 Although the Veneto region belonged to the Byzantine Exarchate of Ravenna from the end of the Gothic War, it remained unsafe because of frequent Germanic invasions and wars. During the following 200 years, the Lombards and the Franks drove urban refugees to the relative safety of Torcello, including the Bishop of Altino. 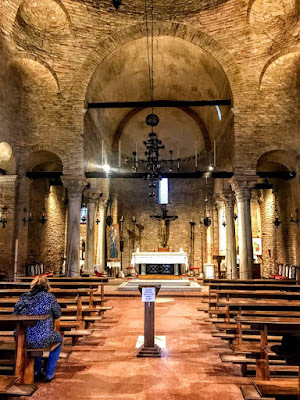 Torcello became the bishop’s official seat in 638, and it remained so for more than 1,000 years. 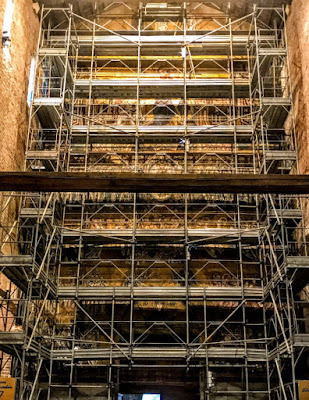 The people of Altino brought with them the relics of Saint Heliodorus, now the patron of the island and now kept in a Roman sarcophagus below the High Altar. Torcello had close cultural, political and economic ties with Constantinople. However, it was a distant outpost and established de facto autonomy from the Eastern Empire. 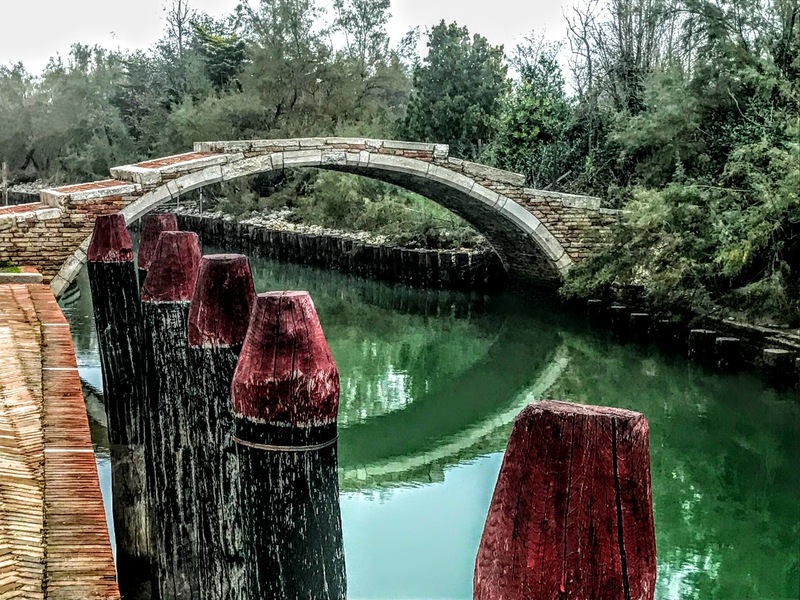 Torcello grew rapidly as a political and trading centre, and for centuries was a more powerful trading centre than Venice. In the 10th century, it had a population of up to 20,000 people. 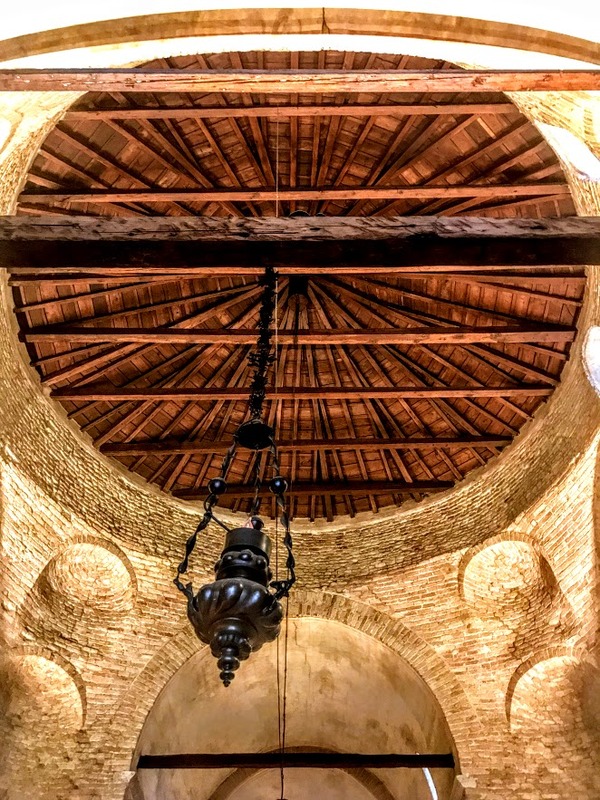 Thanks to the salt marshes in the lagoon, salt became Torcello’s economic backbone and its harbour developed quickly into an important post in the profitable east-west trade, controlled largely by Byzantium. The Black Death devastated Venice in 1348 and again in 1575-1577. In three years, the plague killed some 50,000 people. In 1630, the Italian plague of 1629-1631 killed a third of Venice’s 150,000 citizens. Another crisis for Torcello developed when that the swamp area of the lagoon around the island increased from the 14th century, partly because of the lowering of the land level. 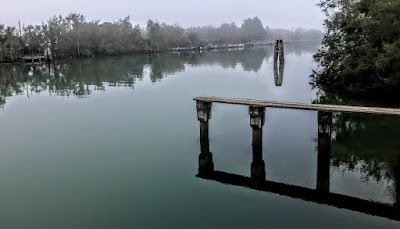 Silt from rivers on the mainland filled up the shallow waters around Torcello, navigation in the laguna morta (dead lagoon) was impossible before long and traders ceased calling at the island. The growing swamps also seriously aggravated malaria. 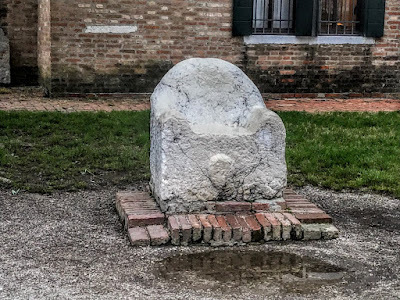 Many people left Torcello for Murano, Burano and Venice, the bishopric was transferred to Murano in 1689, and by 1797 the population of Torcello had dropped to about 300. Many of Torcello’s numerous palazzi, its 12 parish churches and its 16 cloisters were purloined for building material by the Venetians and almost all have disappeared. 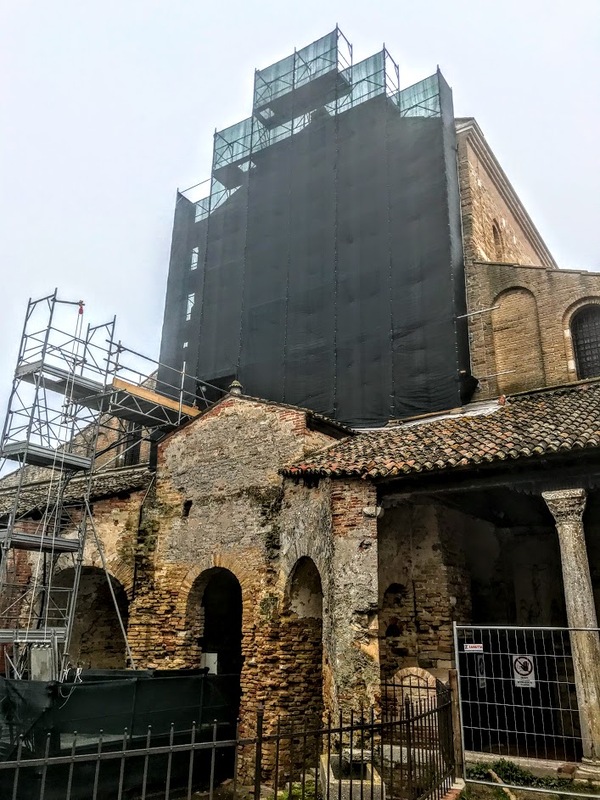 The only remaining mediaeval structures are one small palazzo, the cathedral, its bell-tower, the adjacent church, the town’s former council chamber and archives. 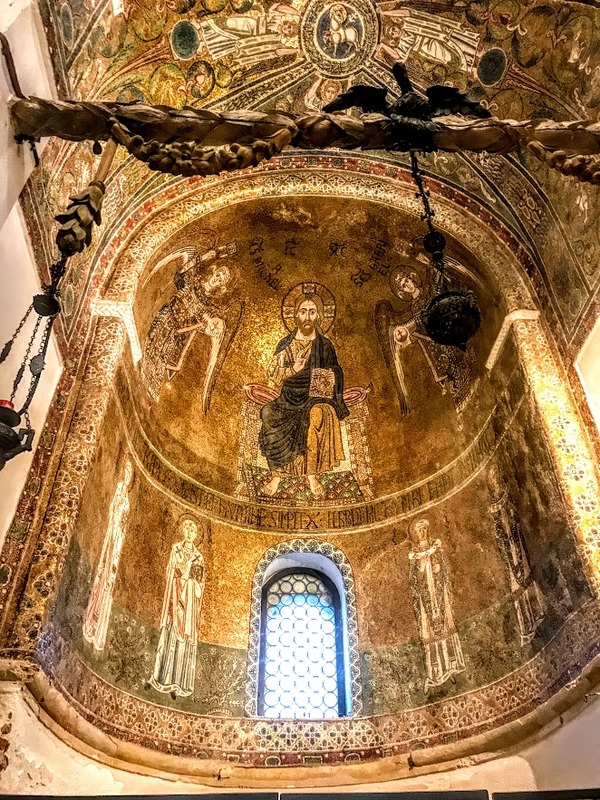 The magnificent Byzantine-Italian cathedral, the Basilica of Santa Maria Assunta, dates back to 639 AD and rises above the island, with the Bell Tower and Church of Santa Fosca alongside. The Cathedral of Santa Maria Assunta was founded in 639, but underwent radical rebuilding in 1008. The present basilica is of basilica-form with side aisles but no crossing. 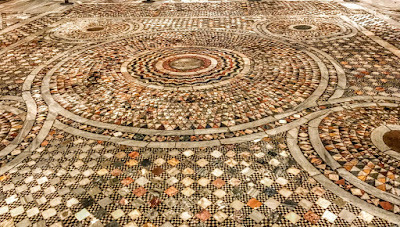 It includes many earlier features, and has much 11th and 12th century Byzantine work. One of the most moving mosaics in Venice is the 13th century mosaic in the central apse of the Virgin Hodegetria or the Virgin Mary in a blue robe with gold fringing, cradling the Christ Child, with the 12 Apostles at their feet. 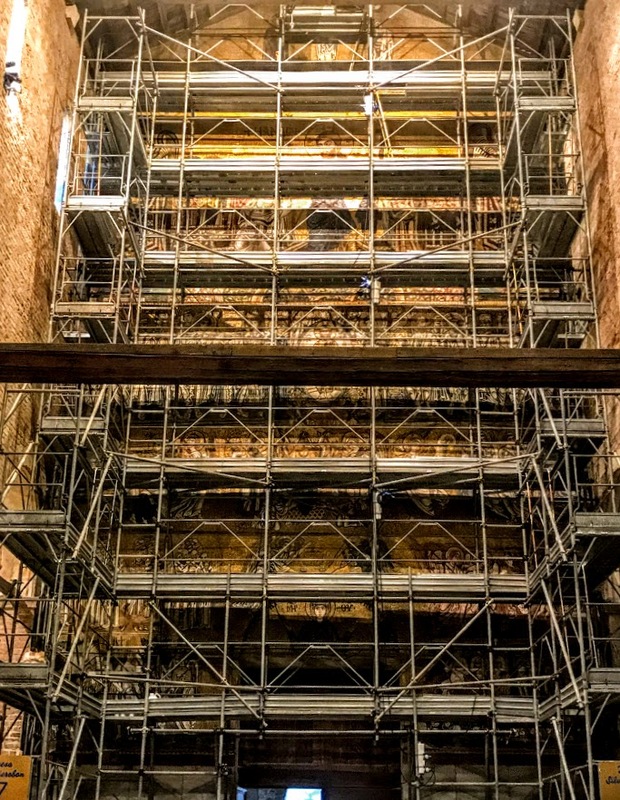 A highly decorative and vivid Domesday mosaic depicting the Last Judgment covers the entire west wall, although it is being restored at present and is hidden from view by scaffolding. The mosaic in the right apse depicts Christ Pantocrator enthroned between two archangels, Saint Michael and Saint Gabriel, with the Lamb of God in a medallion of the vault. The pulpit is made from fragments from the first, seventh century church. The Byzantine marble panels of the iconostasis or rood screen are carved with peacocks, lions and flowers. The finely carved capitals on the nave columns date from the 11th century. 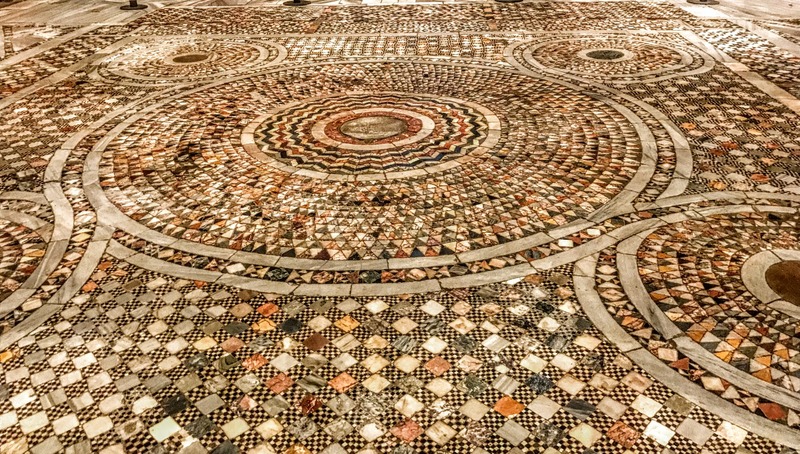 The flooring of the basilica is a vivid swirl of colours in bright tesserae of stone and glass, with cubes, semicircles and triangles laid in square designs. 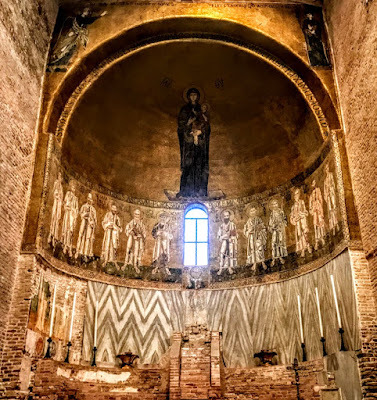 The Church of Santa Fosca, standing beside the basilica, dates from the 11th and 12th century. 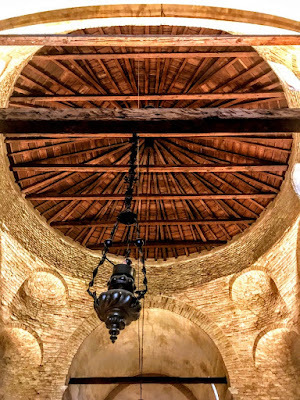 It is built in the form of a Greek cross, is surrounded by a five-sided, semi-octagonal colonnaded portico, and a Byzantine interior. The central dome and cross sections are supported on columns of Greek marble with fine Corinthian columns. On the left side of the square, the Museo Provinciale di Torcello is housed in two 14th century palaces, the Palazzo dell’Archivio and the Palazzo del Consiglio, built in Gothic style as the seat of government of the island. A marble stone chair in the square is known as Attila’s Throne. Legend says it was used as a throne by the fifth century King of the Huns. It is more likely that it belonged to the Bishops of Torcello, or the podestà, a city governor, or, perhaps, the seat where chief magistrates were inaugurated. Many artists, musicians and film stars have spent time on the island. Ernest Hemingway stayed at the Locanda Cipriani, a guesthouse, when he was writing parts of Across the River and Into the Trees in 1948. Torcello is also the setting for Daphne du Maurier’s short story, Don’t Look Now, made into a film starring Donald Sutherland and Julie Christie (1973). 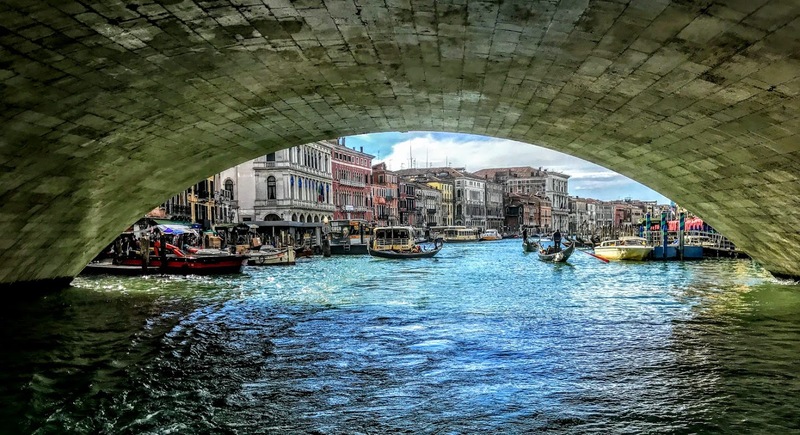 As we walked back to the pier, we stopped at the stone bridge known as the Ponticello del Diavolo or the Devil’s Little Bridge. The bridge attracts the curious attention of many visitors who are spun a number of stories about its name. One legend says the devil appeared here one night by the devil to win a bet. Another legend dates from the time of Austrian rule in Venice. A young woman fell in love with an Austrian soldier, but he was killed by her family who regarded the relationship as unpatriotic. 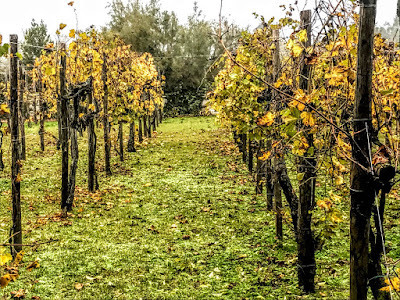 The distraught young woman sought the aid of a witch who agreed to meet her on Torcello as an isolated island. The witch called upon the devil who brought the young Austrian back to life, and the two lovers were reunited. But the devil forced the witch to promise that for the next seven years she would bring him the soul of a dead child who had recently died on Christmas Eve each year. The witch died soon after in a fire and was unable to keep her pact. 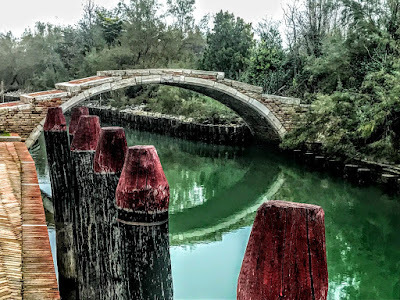 To this day, it is said, the devil comes to the Devil’s Bridge in Torcello each Christmas Eve in the guise of a black cat and claims in vain the souls he was promised. In reality, the bridge may have taken its name because there are no protective sides on the bridge, leaving those who cross it with a feeling that it was built in a hurry, without attention to the risks and dangers it may have created. As we walked on, we stopped to linger a while in the Taverna Tipica Veneziana, before catching the waterbus back to Burano, and on to Venice as evening darkness closed in.